The answer to landing a job might not be in the type of experience or educational background you have, but instead lies with whether or not you have leadership skills. These skills which can range from problem solving to being good at multi-tasking could provide a job seeker with the advantage they need to land a job. There are a number of reasons why leadership skills make certain individuals good employees. One of the biggest reasons employers like to hire someone with these important qualities is because most of the time, these skills cannot be taught. The skills required to be a good leader, such as multi-tasking or problem solving, are often natural abilities or personality traits that someone possesses. Employers can teach an individual how to use a certain software program or how to do a physical skill, but these natural abilities can be difficult to teach. An employer would rather take the little time it takes to work with natural skills and talents and teach those skills than to work with individuals who lack certain un-teachable skills. Another big reason employers like to hire someone with these skills is because most jobs – no matter what industry they are in – require these types of skills in order for the employee to succeed. An individual with effective leadership qualities can typically become successful in any position with the proper training. 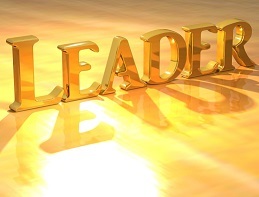 There are over a dozen different traits that can be classified as leadership skills. If you are wondering if you have any of these skills, here is a list that most potential employers look for in a job applicant. Job seekers can show potential employers they have these key skills in a number of different ways. 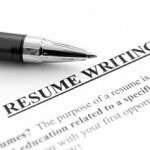 The most common way to show a potential employer that you have these skills is to list them on your resume. Many individuals are so focused on outlining previous work experience and educational background that they forget to highlight skills. Job seekers can list a handful of leadership skills on their resume, which will alert the potential employer that you have these skills. Another way to show a potential employer that you have these types of skills is to incorporate them naturally into your job interview. When a potential employer asks you questions on hypothetical situations that may arise while on the job, try to show them how you would solve the problem using your leader skills. The job market is competitive and job seekers need to stand out from the crowd to land a job. Those leadership skills could be just the thing needed to make an individual stand out to a potential employer and potentially turn into a job.